At a time when multinational organizations are turning towards Facebook to generate profit, effective Facebook management has become a science. With more and more industries pouring into the competition, it has become difficult, even for the old guard, to maintain their dominance over the Social Media. If you belong to any of the above-mentioned categories, you might testify the importance of proper management of Facebook account. Thus, if you want to engage the audience on your Facebook account, generate traffic on your site, there are quite a few tools out there who could do the job for you. These tools, which are mentioned in this article, will serve all your needs in the best way possible. Let’s take a look at the 7 best tools for the management of your Facebook pages. 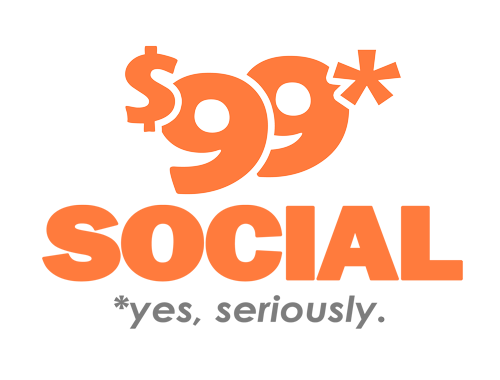 Social Report makes interacting with your social media pages effortless. In addition to making it incredibly simple to schedule your posts, the Social Report app will give you the freedom to collect comments, shares, and DMs from sites like Facebook, Twitter and LinkedIn so that you can respond from one place. If you want to augment the approach of your Facebook page, there are very few tools out there who can do it as effectively as Social Report. Social Report also makes it easy to build presentation-ready reports with detailed analytics. Download the data from your social channels and see it laid out in their clean and intuitive dashboard. The data collection is effortless – just connect your social media profiles and you’re ready to rock. You can even organize your data quickly by customers or business. You can track your own social profiles as well as profiles of others (great for competitor analysis). Use their tool to monitor what’s being said about your brand on blogs, news, social networks and in comments to up your social media game. Ready to try it? They offer a 30 day free-trial for all new customers. Used by more than 10 million professionals, Hootsuite is an enterprise level tool used for the management of Social Media account. While it helps you to schedule your Facebook marketing campaigns, Hootsuite takes one step ahead of its competitors by analyzing the effectiveness of the marketing campaign. Lastly, if you have a team of members in your Facebook management team – and are encountering difficulty in allocating equal responsibilities to all, HootSuite is a must-have for you. For example, if you receive 20 mentions a day, you could delegate each of the mentions to a different team member using HootSuite. Therefore, when that particular team member logs into his Facebook account, he’ll see the tasks which are allocated to him. Consequently, in allocating the responsibilities, you won’t break a sweat. Unlike many of the other Facebook management tools, Agora pulse allows you to run and optimize your content from its application. Moreover, with a user-friendly interface which allows you to get friendly with the app, a Facebook page barometer to rank your Facebook page with its competitors, and a timeline contest manager to run contests on your timelines for greater engagement, Agora Pulse deserves your attention. Although there aren’t many things which differentiate Sprout Social from its competitors, its uniqueness lies in its simplicity. With a myriad of user-friendly marketing tools, its social monitoring tools allow your teams to turn the marketing campaigns into valuable content. Moreover, with the management of your content on a team-wide basis, Sprout helps to ensure your campaigns are always in vogue. Similar to its name, the Crowd Booster tool allows you to optimize the decisions of the social media marketing campaigns. One thing which differentiates it from its competitors is the ability to update your analytics on a constant basis. Also, if your client demands one of the reports, you could generate one of the analytic reports for them as well. If you have generated enough leads for your business, but it still isn’t able to generate enough money, I would recommend you to go for Oktopost. In addition to generating the leads, it will create content in a way known as “click-bait” in the usual terminology of Facebook accounts. That is to say, when a normal Facebook user oversees that content, they cannot help but resist to click on it. 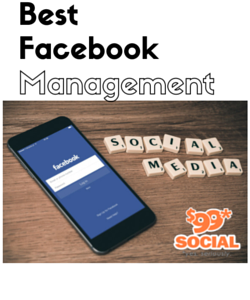 As evinced by the above-mentioned tools, there are a lot of tools for management Facebook. So, what makes Social Flow different. Well, quite a lot. While the usual Social Media Management tools will allow you to promote content, Social flow will take care of your content with its unique promotion strategy. After taking into account the trends which are in fashion, this tool will recommend you certain posts for promotion. Although we have listed a lot of tools, choosing the best one for your use is up to you. Therefore, after taking into account the needs of your business, the promotion strategies which suits it the most, only then choose the management Facebook tool which suits your business the most.